Skateboarding was always cool – and now we know it for sure. It was officially confirmed by Jürgen Blümlein, who is just the right person to talk to, when it comes to the history of the discipline. 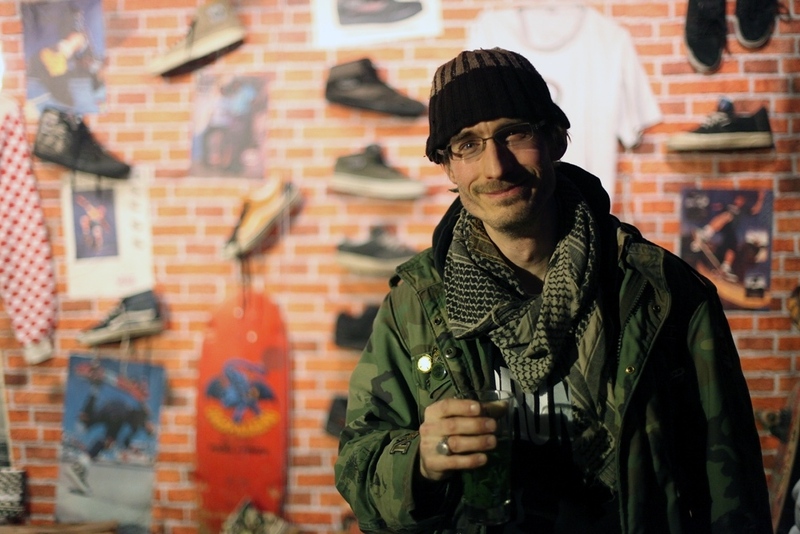 Jürgen is a founding member of the FauxAmi collective, which places skateboarding within the context of art and culture. The collective opened the Skateboard Museum in Stuttgart in 2003, which (as you will see) was only natural and consequential – but the museum is currently venue-less, and will hopefully be transferred to Berlin any time soon. And last, but definitely not least, Jürgen is a skateboarder himself – he has been “on board and off the wall“, ever since 1987. Our colleague Ana Bambić Kostov had an opportunity to talk to Jürgen, and to ask him everything on the matter – how did it all start, for him, and in general? Why is skateboarding so cool? How does skateboarding influence art, and vice versa? Jürgen gave quite comprehensive and unexpectedly interesting answers to all of these questions, which gradually transfigured into amazing life stories. One of the most amusing is the story of the time when he and his co-amie Daniel met Harry Blitzstein, an inspiring artist from LA, who will be showcasing his works – made on skateboards – at OPEN WALLS gallery this June. But how did it start for Jürgen, and the Skateboard Museum in particular? His studies were related to art, design, and film, but they have only partially influenced his future career of an art curator. All the other credits go to his love for skateboarding, which he has been nurturing since his teenage days. Working as an artist, Jürgen had his first solo show in 2002, but he could not reach a point of agreement with his curator, who couldn’t understand Jürgen’s wish to exhibit his skateboards alongside his art. “I create artists, and not people hanging skateboards to express themselves” was what Jürgen was told, and although he was fine with it at that time, the idea to overlap skateboarding and art didn’t leave his mind. Obviously, he wasn’t the only one who had this kind of idea, and eventually FauxAmi was born. “We became our own curators, presenting our own art. The whole thing was – why not host an exhibition about skateboard culture? So we did. I think it was the second art show I did, then curated by us, four amies – real friends.” So, even though the name of the crew takes on the name of Faux Ami (fake friend – which Jürgen says was not a metaphor for the former curator, since he was supposedly a great guy), the crew consists of true friends with genuine love for the art of skateboarding. The museum still hasn’t found its home, but that doesn’t stop the crew from curating and organizing exhibitions, and spreading the word on the culture of skateboarding. At the end of this June (the 29th, to be exact), there will be an exhibition hosted by the OPEN WALLS gallery in Berlin, and it will feature the works of an extraordinary artist from LA, Harry Blitzstein. Jürgen tells us about how they met: “We had a book tour in the US, and we had a shop where we could do the book signing, at the Fairfax Street. We just got there, went out the store for coffee, and ten minutes later, we were in front of this interesting shop display, with the weird, really weird artworks. We just stepped in and there was this really friendly old guy sitting in there. 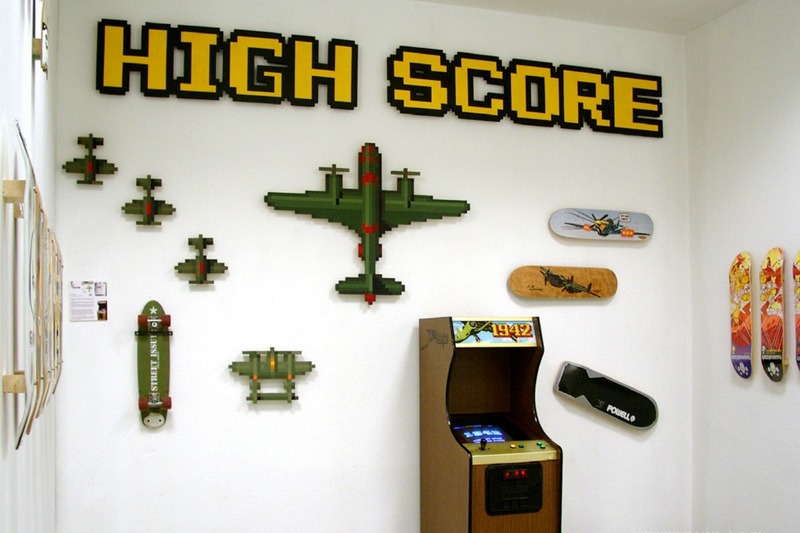 Every piece of the wall and the ceiling – everything was full of art“. As you already assume, the “friendly old guy” was Harry Blitzstein, an American painter who used to be a street artist himself, but got busted, and went through a lot of trouble. However, the experience has influenced the way he works and the way his art became loved by various subcultures related to the street. It is probably one of the reasons why Jürgen loves his art so much, and why, ultimately, OPEN WALLS gallery was thrilled to do the show with someone who is not as young as the artists they usually represent. “His art speaks to you in a way that is friendly. It’s very… I don’t wanna say childish, but it feels like you are a kid again“. Daniel (also from FauxAmi) and Jürgen loved his art so much, that he was the first person they took seriously at a time when their interest was based on skateboarding exclusively. 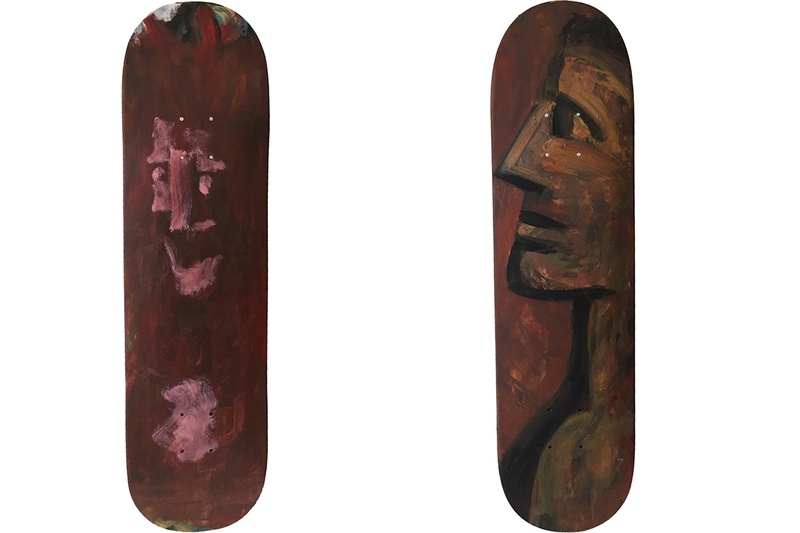 They gave him the idea to paint one of his artworks on a skateboard, and this following exhibition will present works – 50 of them – which reflect on this fruitful idea. 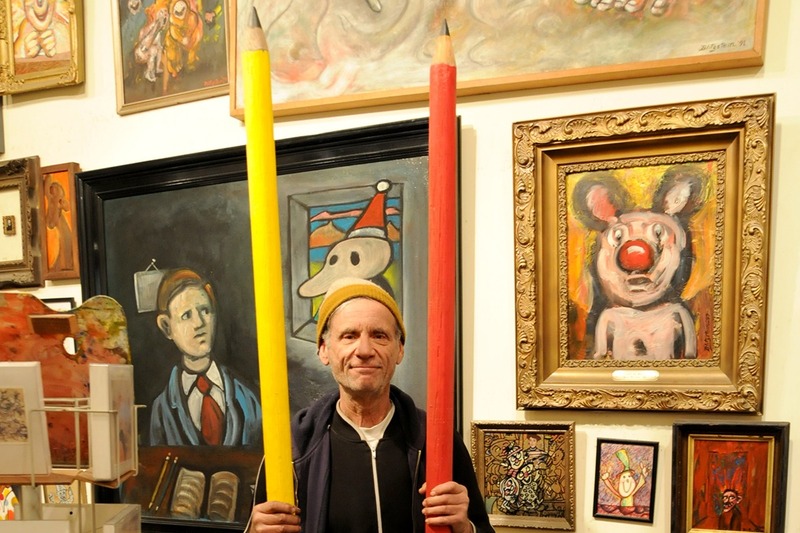 In the end, one simple thing that Jürgen said explained how he feels about his art better than a thousand words: “I am not a collector, and I do own works from several artists. But, I have to say, I collect Harry Blitzstein“.